As I previously noted, a multilateral approach advocated by the Arab Peace Initiative could have the potential to prevent Palestinian unilateralism, which offer no security guarantees to Israel. On February 6, in an effort to unite rival Palestinian factions Hamas and Fatah, Mahmoud Abbas signed a reconciliation agreement with Khaled Meshaal in Doha. The agreement stipulates that Abbas will serve as premier under an interim unity government comprised of technocrats until parliamentary and presidential elections occur in the West Bank and Gaza Strip. Hamas is designated a Foreign Terrorist Organization (FTO) by the State Department and deems it illegal for Americans to “knowingly provide ‘material support or resources’ to a designated FTO.” Victoria Nuland, a spokesperson for the State Department, reaffirmed that any Palestinian government must unequivocally adhere to nonviolence, recognize Israel and accept previous agreements signed by the PLO which includes a commitment to a two-state solution. Even if such a unity coalition comprised technocrats unaffiliated with Hamas becomes a reality, it would still adhere to a long-term vision of liquidating Israel, facilitating the return of 5 million refugees and transforming Palestine into an Islamic state. Yet some analysts speculate Hamas may in fact be moderating its hard-line rejectionist and anti-peace stance. On December 17, Fatah leader Mohammed Shtayyeh stated that Hamas has abandoned violence and would join the Palestine Liberation Organization (PLO). A declaration of nonviolence would ostensibly satisfy a demand that the Middle East Quartet (US, UN, EU, and Russia) insists are a necessary requirement. A remaining precondition, that Hamas recognize Israel’s right to exist, is a demand not only from the Quartet but also by Turkish President Abdullah Gul. In a best case scenario, Hamas would most likely only recognize Israel’s de facto – not de jure existence after an Israeli-Palestinian settlement is reached. Hamas’s inability to speak with one voice suggests a power struggle exists between Haniyeh’s Gaza-based leadership and Meshaal’s exiled leadership. More significantly, it provides an unclear picture of the movement’s true aspirations and resembles a pattern of double-speak reminiscent of late Egyptian President Gamal Abdel Nasser and Palestinian leader Yasser Arafat. Prior to the 1967 War, Nasser and his state-controlled media repeatedly advocated the elimination of Israel. Yet after Egypt’s humiliating defeat, a more humbled Nasser proposed a more ambiguous strategy of “liquidating the consequences of aggression” — which presumably implied liberating the territories Israel occupied during the war including the West Bank, Old City of Jerusalem, Gaza Strip, Sinai, and Golan Heights. 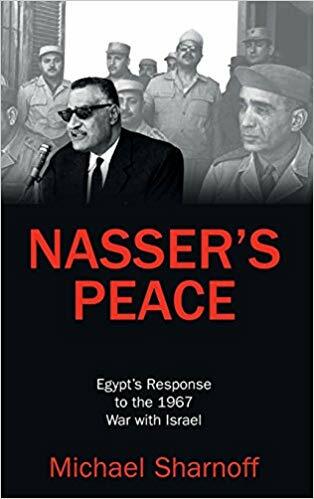 While not rejecting the possibility of eventually liquidating Israel proper, Nasser maintained the flexibility to depict Israel as an illegitimate, artificial colonial outpost since its independence in 1948 — which he referred to as al-nakba (the catastrophe). It remains to be seen whether Hamas has adopted a new strategic policy which the United States and Israel should take seriously or if its decision to embrace popular, non-violent resistance represents merely another tactic to gain favor with the West. What is clear is that Hamas’s decision to unite with Fatah has developed from a position of weakness following a major defeat by Israel during Operation Cast Lead (2008-09). Its weakness is also made manifest by it expulsion from its political headquarters in Damascus, and a reduction in aid and support from its primary ally, Iran, for not publicly supporting Bashar Assad’s brutal anti-regime crackdown. Perhaps the true reason behind this new pragmatism of Hamas is the realization that Gazans and West Bankers could mimic Arab Spring protestors and channel their rage against Palestinian leaders if they fail to deliver real change.